Think we’re only about fun and games in the Pocono Mountains? Think again. The Tourism Industry supports social, economic, and environmental wellbeing like no other. In a three-billion-dollar industry, Tourism employs over 1/3 of all workers in the Pocono Mountains. In resourcing Tourism’s employees, no industry gives back more. From internal efforts at the Pocono Mountains Visitors Bureau to our resorts and attractions, we would like to share how the Pocono Mountains redefines philanthropy. Here at the Pocono Mountains Visitors Bureau, we pride ourselves not only giving back to the community, but to our employees as well. At our annual Tourism Games, 1/3 of each team’s registration fee goes to the host property’s charity of choice. In its 31st year, the Hospitality Scholarship Golf Tournament raises money for scholarships for both high school and college students; we raised over $30,000 in the last five years. The Holiday Dinner supports local and national organizations through both monetary and material contributions. Employees receive four hours of paid time off for community service at any philanthropic agency of their choice. Employees sit on non-profit organizations across the region like the United Way; employees raised over $5,000 for the United Way this past year. Employees participate in national holidays, like Denim Day and Bring Your Dog to Work Day, to support local charities and raise awareness for organizations. 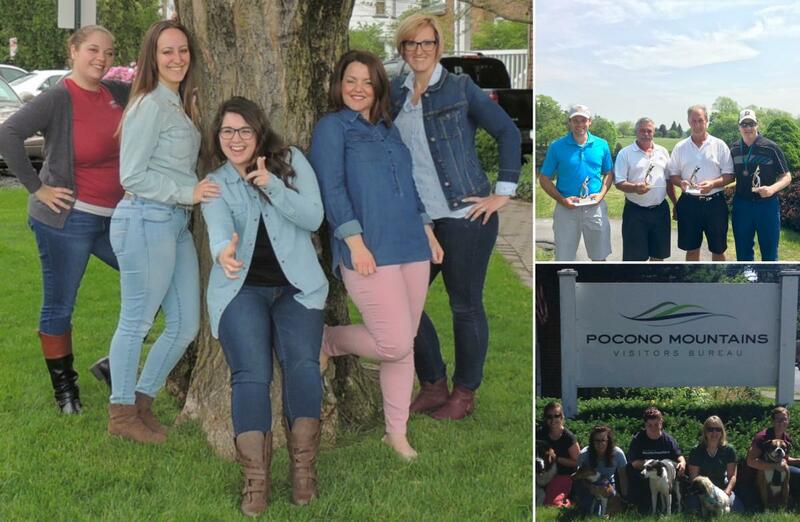 Throughout the four-county region of the Pocono Mountains, tourism continues to give back to the community through events, foundations, and contributions. Pocono Whitewater, Pocono Biking, and Skirmish Paintball collectively donated free activity passes to charity groups this past year averaging over $25,000. Green Lodging, supported by Silver Birches, The Settlers Inn, Ledges Hotel and other Pocono Mountains properties, adds a $2.00 donation to each reservation to benefit the conservation efforts of the Delaware Highlands Conservancy. The Lodge at Woodloch will launch “The Longest Day” on June 21, 2017. This is a Brain Health Program, which is a challenge to raise awareness and donations for the Alzheimer’s Association. 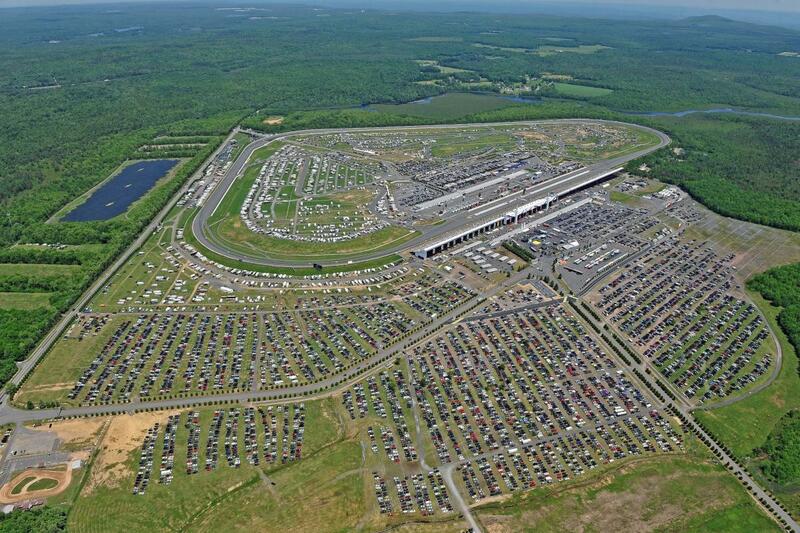 Pocono Raceway’s Mattioli Foundation created the Mattioli Emergency Wing and the Mattioli Trauma Center for the Lehigh Valley Health Network. From environmental efforts to mental health awareness and everything in between, our local efforts continue to enrich our area. Although we only highlighted a few, the Pocono Mountains has so many philanthropic attractions and resorts we couldn’t list them all! With so much giving there’s no wonder why you love the Pocono Mountains. Check out our places to stay and events to discover more philanthropic resorts and attractions. Visit our community resources page of the Pocono Mountains for local charities you can support.